Are you a massive baseball fan? Decorate your home with this baseball sticker. 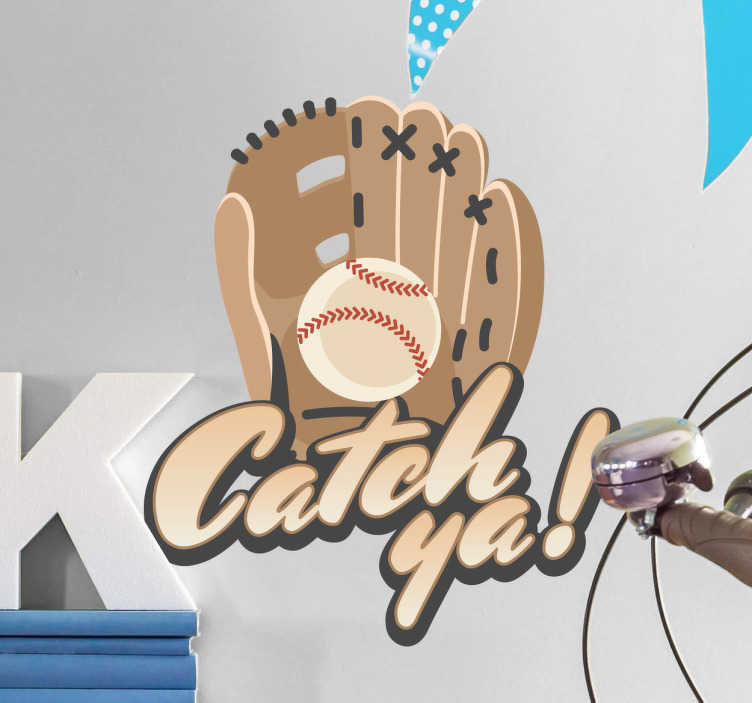 The design consists of a baseball glove catching a baseball, with the message "Catch ya" written underneath. This sticker is available in a variety sizes for you to choose from. Decorate your child's room, nursery or living room with this removable sticker. This sticker is easy to apply to any flat surface such as windows, doors, walls, etc.